There are also classes for borders (border--purple) and SVG styling: fill-olive, stroke-maroon. 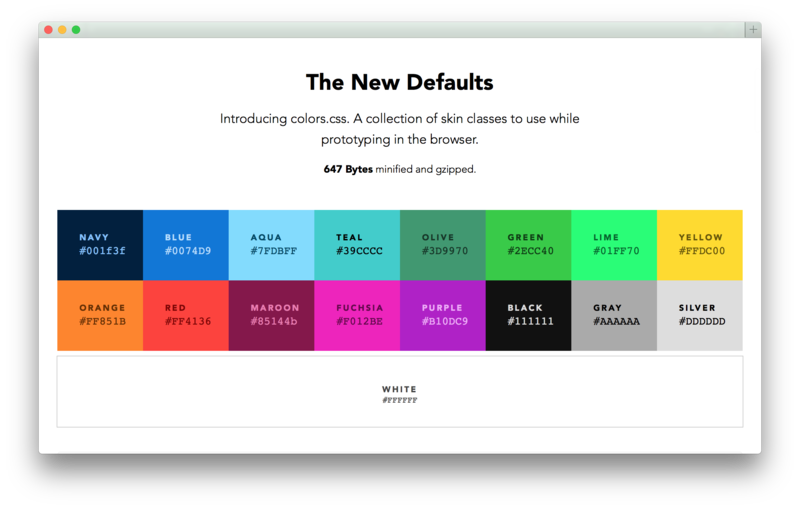 Next time, instead of typing color: yellow, reference Colors for a nicer color and type color: #ffdc00. 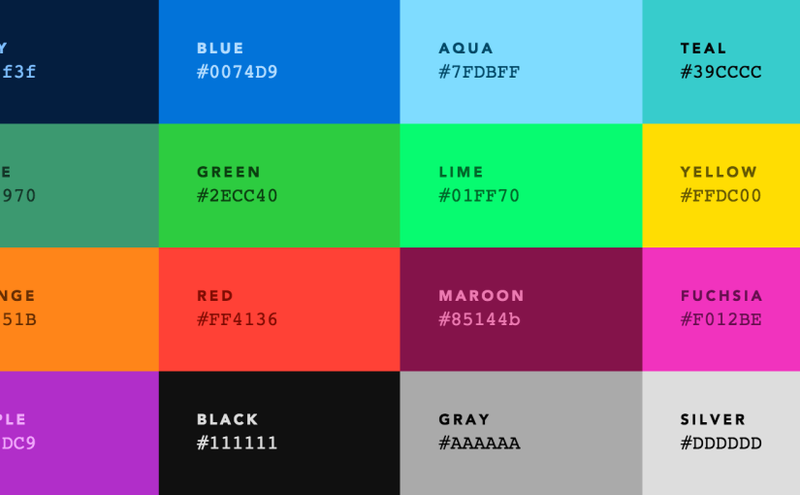 Also, even if you’re not a web designer, feel free to use these colors in any of your projects!